this tablescape will work for your Christmas celebration. I have built this tablescape with 2 distinct looks. 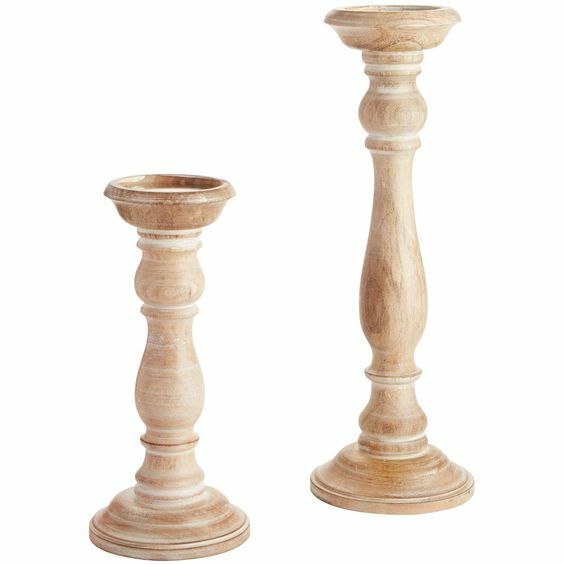 By simply changing out the planters and the candlesticks it completely lends itself to either modern or farmhouse. 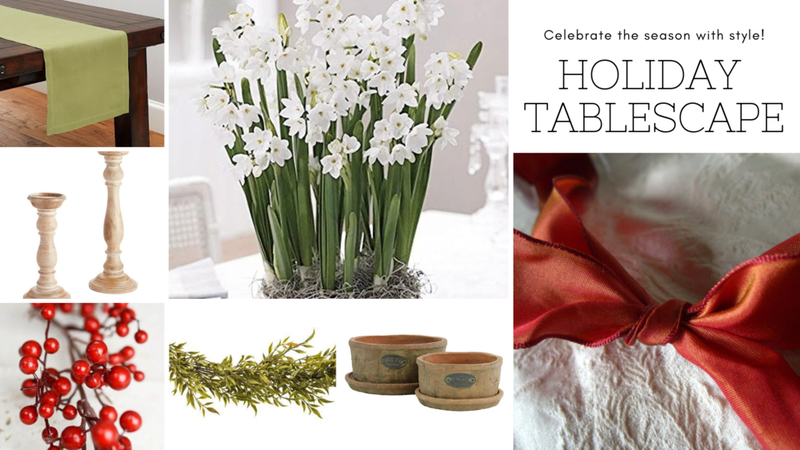 Although this tablescape is one of the easiest to set up, it does require a bit of prep work since you will need to plant your Paperwhites in mid November to have fresh blooms for your holiday dinner. 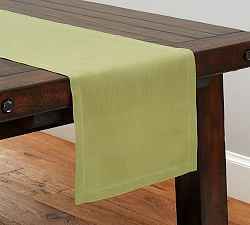 Start with a classic white hemstitch tablecloth and a pretty green runner with matching hemstitch. 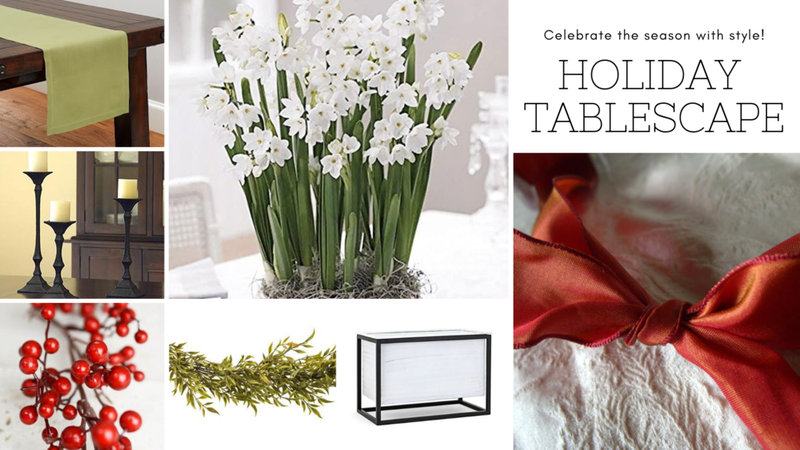 You might also choose a red table runner or a festive plaid for this step. Just be sure that it isn’t too busy as to distract from the star of the show. The colors we are aiming for are bright white and crisp green with a touch of red. Everything is about enhancing the beautiful colors of our paperwhites we have worked on growing for weeks now. 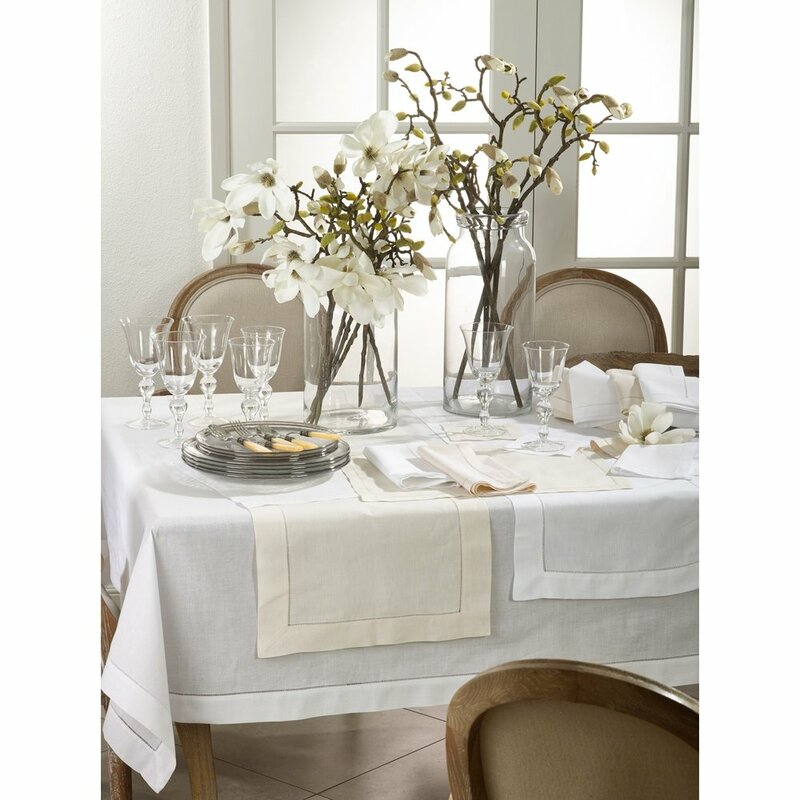 With your table linens layered, place your pots of Paperwhites down the middle of the table. Then cluster your candles at one end. 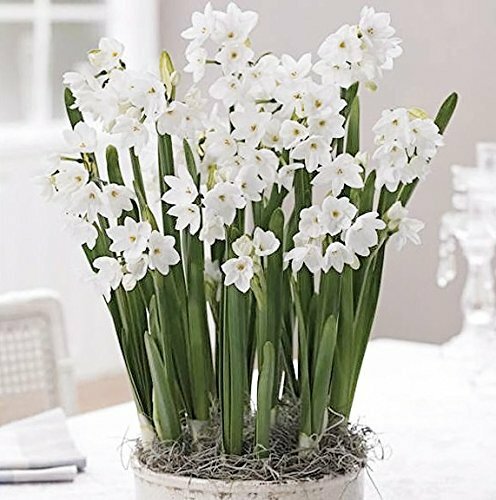 This will create a bit of unexpected asymmetrical flair, and will cause people to actually stop and take notice of your centerpiece. Wrapping the pots with a wide ribbon makes it just a little more special, but in this case it has a purpose. If your flowers get too tall, they may begin to fall over. If this begins to happen you will need to insert a steak and then take that ribbon and tie in around the bunch of leaves. This will not only help them to stand up but will keep it looking pretty too. Candles are always a must at Christmas. 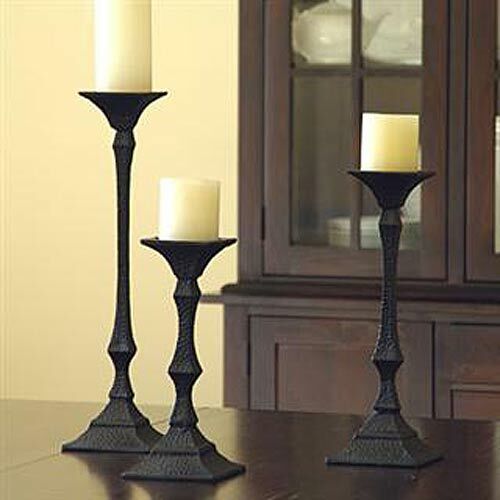 Using candlesticks that are tall allows the opportunity to place additional decorations at their base. A little tip for you is to never display a new wick. Even if your don’t burn it regularly, at least light it long enough to make it look like you use it. This page contains some affiliate links. Click through to purchase. This is the step where, if your like me, you will have to hold back a little or you’ll go overboard. I want you to pick one or two accent items, listed below, to add to your table. Tuck your greenery picks around your candlesticks and add a few of your red berries or ornaments. Add some more greenery next to your planter on one side. So if your candles are on the left of the flowers put your greenery on the planter’s left side. Now add another one, on the same side, so it looks full. That’s it. Now arrange a few ornaments around it. Its okay to fuss with it a bit to get it just right, your eye will tell you when you have it just right. Now your ready to set your place settings, this can be another opportunity to add natural natural elements, color, sparkle and personality to your tablescape. I wish you the very best of holiday cheer, love and laughter this Christmas season.